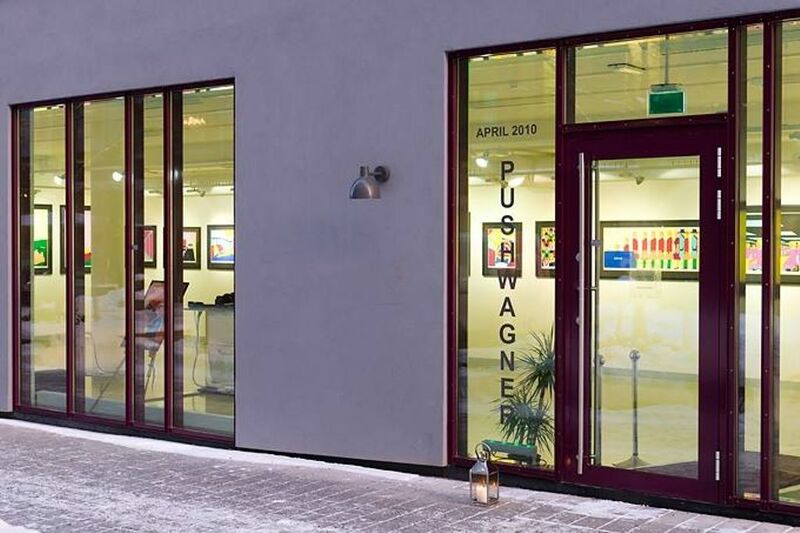 Owned by one of the Norway’s most renowned contemporary artists, Hariton Pushwagner, the gallery plays a significant role in Oslo art scene. Pushwagner, known for his homelessness and hedonistic lifestyle is compared to a modern day Edvard Munch. He frequently appears in newspaper headlines and television talk shows in Norway. His international breakthrough came during the 5th Berlin Biennial for Contemporary Art.